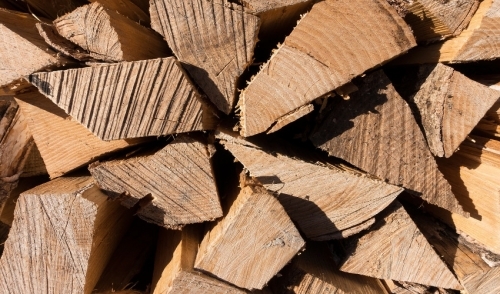 It always sounds like tough work, but splitting logs and firewood does not have to be more work than it has to be. There are multiple kinds of splitters such as Hand Pump Hydraulic, Electrohydraulic, and Gas-Engine Hydraulic. Hand Pump Hydraulics are hardly used, but despite their shortcomings they are quiet and effective. They are slow and best suited for people who burn less than a cord a year. Electrohydraulic splitters are fast, light, and very efficient. These are powered by amp-motors allowing the machine to split logs in seconds with a unique safety fixture that will only allow you to use it if you hold the on button during operation. Finally, if you are the kind of individual that burns over two cords a year, then you are in need of a Gas-Engine Hydraulic splitter. When it comes to renting any of these splitters, this one will cost the most because it provides pro-grade power, speed, and reliability for its users. Splitters are very affordable to rent and easy to operate. You can rent a quality splitter from any local hardware store or privately owned commercial garden and lawn equipment store. When renting a splitter, you will notice that many manufacturers will tout the machines splitting force in tons. While this is an important factor when deciding to rent a splitter, you should also consider the machine’s cycle time meaning how long it takes the splitter to split a log and return to its starting position. This is important so that you do not rent the machines for longer than you need to. Most cycles of splitters range from 10-18 seconds depending on the model you rent. It may not sound like much, but time and money can add up during a days work. After renting the right splitter, it is important to follow these important safety tips. First follow all of the instructions. Before getting started, make sure that you are familiar with the machine and know how to stop the machine safely and quickly. The second tip is to always keep away from children and pets and to never overreach. Keep your work area tidy to avoid accidents and examine each log before operating. Be aware of foreign objects such as nails and screws. Always wear safety glasses and never wear loose clothing when operating a log splitter. It is also a good idea to wear safety shoes or work boots to protect your feet. Finally, never put fingers too close to the splitter while in operation and never leave the machine unattended while running. Always practice safety first when operating splitters. If you have further questions about renting splitters, contact your local hardware rental store for details.